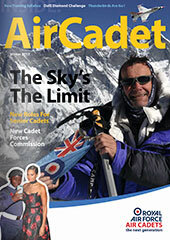 The Air Cadets can provide all the training needed that can take you all the way up to a solo standard. Manningtree Cadets regularly attend a local Volunteer Gliding Schools (VGS) where all new cadets are introduced to gliding through Gliding Induction Courses (GIC). There are three levels of GIC; the highest level obtained by achieving 5 launches or 30 minutes of gliding time. Cadets can apply for a Gliding Scholarship to obtain their Gliding Wings Badge and on successful completion of their training, they have the opportunity to fly a solo flight. Gliding in the Air Cadets is free…all that is needed is your motivation and plenty of adrenaline!! To find out more, get in touch.